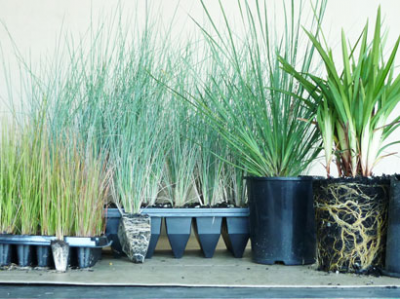 Our online nursery makes buying plants easy. Shop with confidence through our secure payment checkout backed up by quick delivery and our 100% satisfaction guarantee. View our best selling plant categories. This is a very good question. 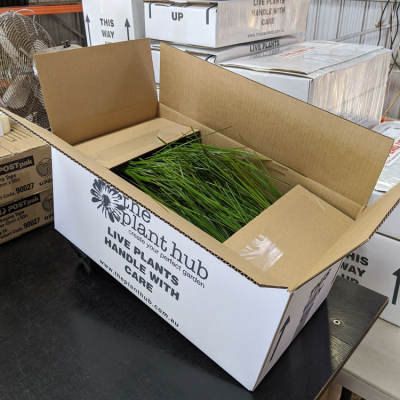 Live plants require express freight, unlike other products which may take a week or so to be delivered using non-express freight services. At `The Plant Hub` we use Fastway Couriers for most metro areas and Australia Post for regional areas. On the day your plants are shipped you will recieve an email notification from us letting you know the method used along with a tracking number so you can track the progress of your delivery to your door. If at any stage you have concerns about the progress of your order you can call or email us and we will do whatever we can to assist you. The answer to this is not completely straight forward as the size of the plants varies from species to species, seasonal variances and will depend on the container or pot size the plant is grown in. The following details are to be used only as a guide and variations may occur for the above mentioned reasons. Tubes and Viro-tubes - We grow our plants in a range of tube sizes. The dimensions of a tube range from 4 to 5cm X 4 to 5cm X 9 to 12cm, (these are industry standard tube sizes). The plants we grow in tubes will range from 15cm to 35cm tall and generally have a foliage width of at least 5cm. Tubes are a great low cost way to mass plant your garden. 140mm Pots – This pot size is also referred to as 14cm or 6 inch pots, these are generally a round plastic container that are 14cm in diameter. Plants grown in 140mm pots are generally 30 to 40cm tall by 15 to 20cm wide. 140mm pots are great way to add an instant impact in your garden. At The Plant Hub we stand behind our 100% satisfaction guarentee. 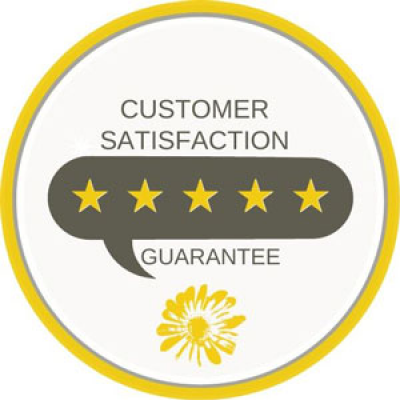 If for any reason you are not completely satisfied with your purchase at the time of delivery we will without question either replace your plants or refund your money. We value your comments, if you feel we could do better please let us know. The Plant Hub is alway looking to improve what we do and your comments are welcomed.